Cor Meibion Llanelli were in fine voice this week to welcome visitors from Berkhamsted and District Welsh Society in Hertfordshire. The visit was organised by Dr Roscoe Howells and Marie Duro. The society members were staying at the Stradey Park Hotel and made the short trip over to Furnace Community Hall to sit in on the choir's rehearsals. A rare scarlet bloomer at the National Botanic Garden of Wales flowered on what was a big weekend for ‘Scarlets’. This striking Banksia coccinea (or ‘Scarlet Banksia’) burst into bloom the same time that Scarlets legend Stephen Jones played his last game for the club. 'Scrum along girls' is the call from the touch rugby Try Touch brigade. There are still more men than women joining up for the thrd year in successive blowing away the cobwebs for a summer of weekly touch rugby. The sessions, run by Carmarthenshire sports development officer, Matthew Adams gives players a chance to practice and improve some of the skills needed for Touch. Groups are split into teams and played a few shortened games against one another other. Althought the league was initial set up and run by thye county sports development unit, it has just been passed on to new WRU participation officer, Daryl Richards. Carmarthenshire 50+ Forum is encouraging older women to go for breast screening. More than 2,000 women are being offered a free, potentially life-saving screening test with the return of Breast Test Wales to St Clears. The NHS service has brought its mobile screening unit to the area. Sited at Pentre Road Car Park (Pay and Display), the unit will offer free, high-quality breast screening by invitation only, to women aged 50 and above who are registered with local GP surgeries until the end of June. All women aged between 50 and 70 should automatically receive a postal invitation if they are registered with the following GP surgeries: Coach & Horses Surgery, St Clears and Meddygfa Taf, Whitland. Women aged over 70 will not receive an automatic invitation, but can be screened on request by telephoning Breast Test Wales on 01792 459988 to make an appointment. People with an interest in family services have gathered to share the findings of an evaluation of Plant Dewi Families Together groups and Carmarthenshire Family Centres. The event at Parc Y Scarlets, was attended by partners from health, education and statutory services as well as staff from Plant Dewi and local family centres, all of whom work with Carmarthenshire County Council to operate safe, supportive and positive family centre and group services. The independent evaluation was carried out by Anne Crowley of Red Kite Research and Consultancy, who was selected as a previous member of the Welsh Assembly Government’s Child Poverty Expert Group. Ms Crowley also sits on the Welsh Government’s National Independent Advocacy Board and on the Wales Committee of Equality and Human Rights Commission. A woman who posted pictures of herself on Facebook desecrating a wall with graffiti has been fined by council. The 33-year-old, who cannot be named, was issued with a fixed penalty notice for £75 for the offence under Towy Bridge in Carmarthen. The council’s environmental enforcement officers received a complaint from a member of the public and were informed there were pictures on Facebook. The culprit was traced and interviewed by officers and as it was a minor offence and she admitted full liability, she was offered a fixed penalty notice instead of prosecution in court. She also agreed to wash the graffiti off the walls herself. The council now hopes this fine will act as a warning to others that anyone caught defacing property in this way will be prosecuted. A woman has been fined for dropping a cigarette end in Carmarthen town centre. The council’s environmental enforcement officers issued the fixed penalty notice for £75 to the 28-year-old in John Street. The council hopes the fine will act as a warning to others that those caught throwing litter will be prosecuted. It follows a campaign to raise awareness of smoking-related litter as research shows that discarded cigarette ends make up the largest proportion of litter in Carmarthenshire with 83 per cent of litter found on the county’s streets smoking-related. A man has been fined for failing to clean up after his dog at a popular Llanelli leisure spot. He was issued with a fixed penalty notice for £75 by the council’s environmental enforcement officers at Dafen pond. Failure to pay the fixed penalty could result in prosecution in the magistrates court and a maximum fine of up to £1,000. Dog fouling is one of the main causes of complaint from residents and it is hoped this latest fine will act as warning to others. More than 25 young people and local residents attended the Amman Youth Forum’s river clean project on Saturday May 4. Following hard graft a large quantity of rubbish was removed from the river; rubbish items included old tyres, electrical equipment, a deep fat fryer, the side of a port-a-loo and a car exhaust. The banks along the river were also targeted and bags upon bags of rubbish were filled. The Amman Youth Forum, and staff from Carmarthenshire Council would like to thank everyone who took part in the clean up for all their hard work and support. Public Health Wales is marking International Nurses’ Day by highlighting the work of some of its staff. The annual event takes place on 12 May each year, the anniversary of Florence Nightingale’s birth, and celebrates the hard work of nurses across the UK. Public Health Wales employs nurses across a number of divisions, including nurses working within the health protection, screening and safeguarding children teams. On Monday 14 May 2012, the new National Plant Phenomics Centre, which features the most advanced research greenhouse in the UK, will be formally opened at Aberystwyth University’s Institute of Biological, Environmental and Rural Sciences. The new Centre (http://www.phenomics.org.uk/) is a Biotechnology and Biological Research Council (BBSRC) supported national facility and has been developed at a cost of £6.8m. The research conducted at this new national centre will help to develop new plant and crop varieties to help tackle the global challenges of climate change, food security and replacing oil based products. Located on the University’s Gogerddan campus, it will be will be opened by BBSRC Chairman, Professor Sir Tom Blundell FRS at 12.00 p.m. The new building is one of two significant capital investment developments that are being opened on the same day. Following his High Sheriff’s Award, which recognised his charitable work within the county, Adam Cousins aged 16 of Newcastle Emlyn has received yet another prestigious award. Adam, a pupil from Emlyn Comprehensive School, has won the national Gwirforce Inspirational Young Person of the Year Award. The award recognised Adam’s extensive voluntary work and commitment to the participation agenda and his dedication to Carmarthenshire Youth Council. Adam was one of three young people across Wales to be shortlisted for the award and he received the honour from First Minister Carwyn Jones at an awards ceremony in Cardiff Bay on Thursday May 3. Adam said:“It was such an honour to receive the award from the first minister, I will never forget it. To be shortlisted was a privilege in itself but to win the award was just amazing. Glanymor & Tyisha Communities First has initiated a pilot health project, the Feel Good Factor. It is a 12 week health and wellbeing project running once a week on Fridays in the Wesleyan Hall in Morfa from 9.45am-2.30pm. The project takes a holistic approach to health, incorporating exercise, healthy eating, meditation, self esteem and self image. There are still two or three vacancies for the course and anyone interested should contact Farah on 01554 777850. Receiving her prize of a Sony e-reader is Llanelli Library member Joanna Leeuwerke. Joanna was the winner of a quiz held during the opening week of the newly refurbished library, correctly answering questions relating to literary classics, as well as local brainteasers. She is pictured with Assistant Libraries and Heritage Manager Daniel Alliston and Scarlets player Deacon Manu. The Myddfai Ty Talcen charity has been granted permission to hold a Diamond Jubilee event at the Prince of Wales’s Carmarthenshire home. The charity applied for Temporary Event Notices to hold a fireworks event at Llwynywermod near Myddfai on June 4 with two marquees for guests. The event is pre-purchase ticket only. The application has been dealt with by Carmarthenshire County Council’s licensing section. The council has so far approved six other Temporary Event Notices for June 4 for events in Llandeilo, Llanwrda, Abergwili, Llandovery, Bynea and Cwmann, and a series of events by Five Roads Village Hall and Park on June 2, 3 and 5. Carmarthenshire has granted temporary road closures for Market Square, Llandovery; Church Street, Ammanford; Gilbert Crescent, Llanelli; Park Terrace, Burry Port; Randell Square, Pembrey; and Tunnel Road, Llanelli. There willalso be street parties going ahead at Llangadog Square, Llangadog, and Drefach, Felindre, without the need to close the road. RNLI lifeguards will be returning to Cefn Sidan beach in Pembrey this Saturday (12 May) to offer high-level first aid and safety service to the public for the summer season. The charity’s lifeguards will be ready at their posts between 10am-6pm everyday from Saturday until Sunday 2 September. The charity’s lifeguards have already completed two weeks of intense training and passed vital fitness tests to ensure that everyone is on top form ready for the seasonal service. This will be the fourth season for RNLI lifeguards to provide a safety service on Cefn Sidan beach. “The charity’s lifeguards are looking forward to return to Cefn Sidan beach in Pembrey this weekend. They have all been put through their paces over the past few weeks to ensure the highest level of fitness and training to help save lives on Welsh beaches this summer. Adrenaline-filled afternoon, Horse Racing meets Horse Power. Join in the celebration on Bank Holiday Tuesday for a fun filled day out. With entertainment from the Dixie Landers prior to racing and a great street party atmosphere. Come dressed up as your favourite icon from the last 60 years and you will be in with the chance to win a prize. Join us at one of our most stylish events of the year and get dressed up in your finest to soak up the buzz of racing. Hywel Dda Health Board is thanking its dedicated and caring nurses on International Nurses Day. On May 14, International Nurses Day is being marked within the health board with poster displays showing examples of developments in nursing practice. The date marks the birth date of Florence Nightingale, born in 1820, and considered by many to be the founder of modern nursing. The Welsh assembly's Presiding Officer has denied there is a drinking culture among assembly members. Rosemary Butler spoke after the conduct of AMs was put under the spotlight following a report into the behaviour of Llanelli's Labour AM Keith Davies after a night out. In denying there was a drinking culture in Cardiff Bay, she said what people did after work was a matter for them. If only walls could talk? Join the Llanelly House Team for a 'Walk and Talk' around the centre of Llanelli to discover what tales the walls have to tell about our past. Why not meet the Community Team of Llanelly House for a walk and a talk around Llanelli Town Centre on Wednesday 30th May at 11am? Did you realise that the street layout of the town was literally developed within and around the grounds of Llanelly House? To listen to more fascinating stories and have a gentle walk around the town centre please reserve your space by contacting the team*. A total of 363 compost bins were sold in a special half-price compost bin sale held during Compost Awareness Week. The one-off sale was organised by Carmarthenshire County Council’s waste section at the Co-op car park in Cross Hands. The compost bins were available to county residents only at a subsidised price of just £5. The aim was to encourage householders to go green by home composting their garden and kitchen waste. Council waste minimisation/recycling officer Karen Fulham said: “Many people don’t realise how simple it is to home compost or just how much of their household waste can actually be composted. As well as autumn leaves, grass and hedge clippings, vegetable peelings and egg shells, you can put shredded cardboard, tea bags and even the contents of your vacuum cleaner into your compost bin. A woman has been fined for failing to clean up after her dog at a popular Gwendraeth Valley park. The dog owner was issued with the fixed penalty notice for £75 at Mynydd Mawr Woodland Park near Tumble. The council’s environmental enforcement officers were on patrol at the council-run attraction following complaints of owners not clearing up after their pets. Failure to pay could result in prosecution in the magistrates court and a maximum fine of up to £1,000. Dog fouling is one of the main causes of complaint from residents to Carmarthenshire County Council. The council is working hard to tackle the problem of dog fouling and enforcement officers regularly carry out patrols across the county. Director of Technical Services Richard Workman said: “Mynydd Mawr Woodland Park is used for recreation and leisure by families as well as for walking dogs and it is only fair that people should be able to enjoy the park free of dog mess. Researchers from the Centre for Health and International Relations, Aberystwyth University, will review and discuss how globalisation is changing global patterns of health and disease at Chatham House in London this Friday (11 May). The Chatham House meeting will be in front of a prestigious academic and policy-oriented audience from the UK, Europe, US and Africa. This will be the first in a series of dissemination events presenting the findings of a four year European Research Council-funded project which has taken an innovative approach to the study of global health governance and the ways in which competing ideas about health impact upon policy making. The project team has been led by Professor Colin McInnes from Aberystwyth University and Professor Kelley Lee at the London School of Hygiene and Tropical Medicine. Dr Simon Rushton and Dr Owain Williams, both from Aberystwyth, have also been heavily involved in researching the project. A woman has been fined for dumping a black bag next to a bus shelter in Bancycapel. She was issued with a fixed penalty notice for £75 for the offence by council environmental enforcement officers. Failure to pay could result in prosecution in the magistrates court and a fine of up to £2,500. The council hopes this will now act as a warning to others that dropping litter or fly-tipping of any kind will not be tolerated. The council has launched a spring clean-up campaign; and with the Olympic flame travelling through Carmarthenshire later this month, we want a county we can be proud of. The aim is to encourage people to dispose of their rubbish more responsibly and raise awareness of the effect litter and fly-tipping has on the environment. Okay, a day late, but . . . This Healthy Wednesday why not think about what small changes you can make in your day-to-day activities to get 30 minutes of exercise a day, five times a week. It may seem a lot but you may be surprised how much physical activity you already do and how a few small changes could make a big difference to your health. This is the time of year in the Great Glass House at the National Botanic Garden when every few feet you have to stop, admire and exclaim. The variety and range of the plants housed there is just superb. Follow the link to read Pam Murden's blog. Public Health Wales has published the Welsh results of a European study to collect data on healthcare associated infections, the use of medical devices and antimicrobial usage in hospitals. The Welsh Antimicrobial Resistance Programme and Welsh Healthcare Associated Infection Programme of Public Health Wales, together with 1000 Lives Plus, supported NHS Wales in running the Point Prevalence Survey during November 2011. All seven health boards in Wales, plus Velindre NHS Trust, participated in the survey, involving 9,094 in-patients. This is the largest survey of its kind conducted in Wales. Dyfed-Powys Police is continuing to crack down on alcohol-fuelled violent behaviour with the innovative Section 27 Direction to Leave Powers. The Violent Crime Reduction Act law enables Police Officers to issue a direction to an individual – aged 16 or over – to leave a public place for 48 hours if the Officer believes the likelihood of a crime or alcohol-related disturbance will take place. If the offender refuses to leave, or breaches the order and returns to the area within the specified time, is guilty of an offence and could be liable for an arrest and possible conviction, to a fine of up to £2,500. An independent review of what clinical evidence says about hospital services in Wales (Wednesday 9 May 2012) concludes that patients in Wales are not getting the best possible outcomes from their hospital care and there is a strong case for changing the way some hospital services are organised. Aberystwyth University’s Institute of Welsh Politics will host a public lecture by the Welsh Government’s Minister for Education and Skills, Leighton Andrews, on Monday 14 May. 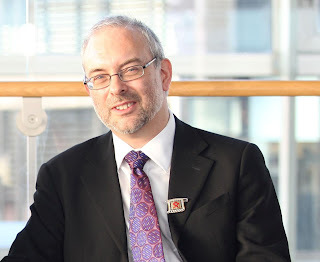 His lecture is entitled ‘Education and the Welsh Public Sphere’, and will be held in the Main Hall of the Department of International Politics at 7.30pm. The evening will be chaired by the University’s Vice-Chancellor, April McMahon, and is open to the public. Communities are benefiting from a new service which provides eye treatments closer to their homes. The Mobile Macular Scan Van is piloting retinal scanning in the community to reduce the travelling for patients from community clinics to Aberystwyth. Carmarthen Journal editor Cathryn Ings will leave the company next month, publisher Northcliffe Media announced. Ings, who has edited the paid-for weekly for the last four years, began her career as a trainee reporter with the Llanelli Star in 1989 followed by spells at The Western Mail in Cardiff and the Evening Post in Swansea. In 2010 she oversaw the Journal’s 200th birthday celebrations and launched the Carmarthen Journal Bicentenary Community Awards aimed at celebrating unsung local heroes. The search for her successor begins immediately. Another excellent journalist leaving the fold. Best wishes to Cathryn for the future. Staff from Hywel Dda Health Board are committed to making a difference in their community. Hywel Dda Health Board is the only health board in Wales taking part in the UK’s largest day of employee volunteering. Three teams of volunteers from the health board will be out in the community on Give and Gain Day on May 18. The teams, one in each county of Carmarthenshire, Ceredigion and Pembrokeshire have chosen projects which will benefit the community. ‘The Business Brief’ is the new column from Red Kite Law in the Carmarthen Journal. This week, Employment Law Partner Donna Purchase, puts the spotlight on the latest Employment Law Changes. Anyone in business today needs to keep a ‘head-up’ on the latest changes in Employment Law. The main change this April is the introduction of the increased qualifying period for an unfair dismissal claim. From 6 April 2012 an employee must have been continuously employed for at least two years before they are able to bring an unfair dismissal claim. However, this increase will only apply to employees who start work with an employer on or after 6 April 2012. Although this change attempts to redress the balance in favour of employers, some critics fear it may have the opposite effect. Criminals pay for Fishguard youth rugby project! It’s not everyday that you can say crime pays – but thanks to the Dyfed-Powys Police Incentivisation Fund, Fishguard Junior Tag Rugby team has received much needed cash. The kit was actually purchased using money supplied by a local donor – Neil Page Property Developments – as well as money received from the Incentivisation Scheme. The police portion of the cash, which paid for rugby shirts, was obtained as a result of Police successfully seizing and confiscating criminal assets. The first ‘women in war and at war’ conference, which will look at sexual and gender based violence against women during wartime, will be held at Aberystwyth University from Friday 11 to Saturday 12 May. Sexual and gender based violence is one of the greatest threats to human rights in modern wars and continues to be used as a deliberate strategy and illegitimate method of warfare, which poses serious threats to women’s lives even long after the fighting has stopped. The two-day conference has been organised by Professor Ryszard Piotrowicz and Dr Anél Boshoff, both of the Department of Law and Criminology at the University, as well as Olga Jurasz, a PhD student at the department and a Lecturer at the Open University. In addition, Professor Chris Harding, Professor John Williams and Jennifer Phipps of the Department of Law and Criminology will make presentations, along with Dr Jennifer Mathers from the Department of International Politics. Second-half recovery . . .
Latest score: Man Flu 1 Lloyd 0. Early goal from Ed Ache. Beechams just introduced as a late sub for Lloyd. Equaliser expected soon! Police officers carried out a special operation on Sunday targeting anti-social riders and drivers using roads in North Carmarthenshire and Powys. A total of 21 motorcyclists were given fixed penalty notices for speeding, and five were reported for summons for speeding. This means the offences are too serious to warrant a fixed penalty and need to be dealt with in a court. Best known as the birthplace of the famous pirate, Black Bart, the village of Little Newcastle, near Letterston in Pembrokeshire staged a wonderful exhibition of commemorative china at the start of May to celebrate the Queen’s Diamond Jubilee. The event, which was held in St Peter’s Church on the edge of the village green, had been organised by Richard Davies, a church member who is a discerning collector of royal memorabilia. Tŷ Golau, the service which lights up the lives of the elderly, is expanding into Kidwelly. The Llanelli health and well-being facility for people with memory problems and dementia type illnesses is opening a second venue at Kidwelly. 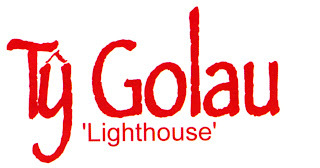 “We are all about care in the community,” said Emanuel Mercieca, Project Manager of the Tŷ Golau Lighthouse facility. “We have been active in Llanelli since 2009 and the service we provide has met with a very favourable response. Mr Mercieca added, “Recently we were approached to start Ty Golau at Kidwelly. We are encouraged by the support received from the Jeanette Gilasbey, Mayor of Kidwelly, and Kidwelly car dealership owner David Gravell, among others, who have advocated very strongly for the people in and around Kidwelly, so we decided to respond to the need that exists there. As a teenager, I used to regularly go cycling though the forest used in the film. I also used to imagine a mysterious world of lights around me as I cycled through it. This film is in part a realisation of that idea. It was filmed using a Canon XH A1 and a GoPro Hero 2. It was edited in Final Cut Pro, and the visual effects were created using After Effects CS5 and Cinema 4D. The soundtrack was written in Logic Pro 8. Synopsis When you're young and in love the future seems bright... but then what? 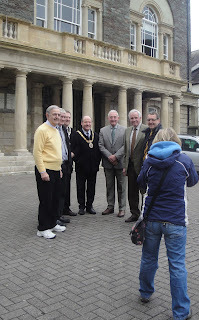 Plaid Cymru's 'Magnificent Seven' posed for a photocall outside Carmarthen's Shire Hall today. The seven took the Carmarthen seats and the Llangunnor seat on Carmarthenshire County Council. They are pictured posing for Carmarthen Journal photographer Carolyn Evans. To be fair to the potential future Leader of Carmarthenshire County Council, Peter Hughes Griffiths on the left, you can't be critical of his choice of footwear; he was helping out at the Carmarthen Mayor's Fun Run races this morning! From four-year-olds to veterans, they all turned out for the annual Carmarthen Mayor’s Fun Run races staged in the town centre on Bank Holiday Monday. Runners of all shapes and sizes took to the streets of Carmarthen, helping to raise cash for many different charities. “It was a great, fun occasion , with the accent firmly on everyone having fun,” said Carmarthen Mayor the Reverend Councillor Tom Defis. “This is the 31st year for the races to be held in Carmarthen and each year it is a delight to see hundreds of families enjoy the experience. “The toddlers race, where mums and dads joined their more athletic youngsters around the town centre circuit was great fun. Everyone who finished received a special medal. The winner of the 5K race was John Morris, of Amman Valley Harriers.